We’re previewing the wines for the upcoming Go-Getter Girls & Grapes on October 20th! Go-Getter Girls & Grapes is a women’s professional networking and wine tasting evening, featuring global wines made by female winemakers and owners. Tickets are $15 and are available at http://www.elizabethmillerwine.com/gogettergirlsgrapes. For some, winemaking is a calling. Loredana Vivera realized hers while overlooking her family’s vineyards on Mount Etna in Sicily. She’d go on to practice her calling at the family’s Vivera Winery, crafting numerous Sicilian wines including the “Altrove” Sicilia Bianco which which we’ll taste at the upcoming Go-Getter Girls & Grapes. Loredana and I recently discussed her winemaking background in a transatlantic email conversation. 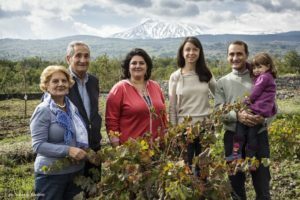 The Vivera family purchased an estate near Mount Etna in 2002, but this was hardly the beginning of women in wine for the Viveras. Loredana’s mother had vineyards for generations within her family. The 2002 purchase was the realization of a dream, and they settled into the northeastern side of the volcano, building a winery there. 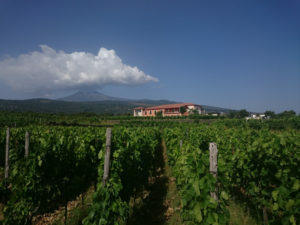 Loredana would become the oenologist at Vivera Winery, crafting the native Sicilian grapes, like Nerello Mascalese, Nerello Cappuccio and Carricante, all grown organically on the high altitude and volcanic soils of Mount Etna. 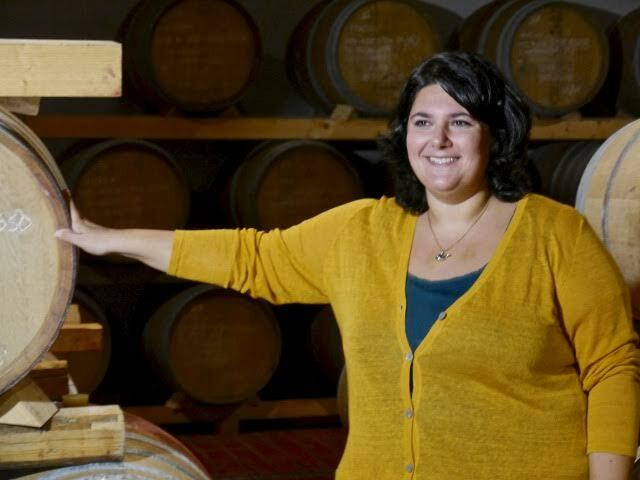 She is part of a growing number of female winemakers around the globe, which does continue to come with its challenges. At Go-Getter Girls & Grapes on October 20th, we’ll taste the Vivera “Altrove” Sicilia Bianco IGT 2014. This wine comes from 100% Certified Organic vineyards. It’s a blend of the very familiar Chardonnay with the native Sicilian grapes of Catarratto and Inzolia. It’s simply delicious… with a juicy yet mineral palate, with citrus, herbs and floral notes. Stay tuned for Winemakers #2 and #3 coming soon! Vivera Winery and more great finds are at www.vintology.com.